Re: ***AVDAUDIO.COM*** DIY kits, tranformers, 1073 & 2254 boards. I'm happy to introduce you my new MP312-4! For a while I wanted to create a Rack version of API312 mic preamp with 4 channels. I'm sure people will love it and will be using different Rack modules. It was my idea to create something exciting! 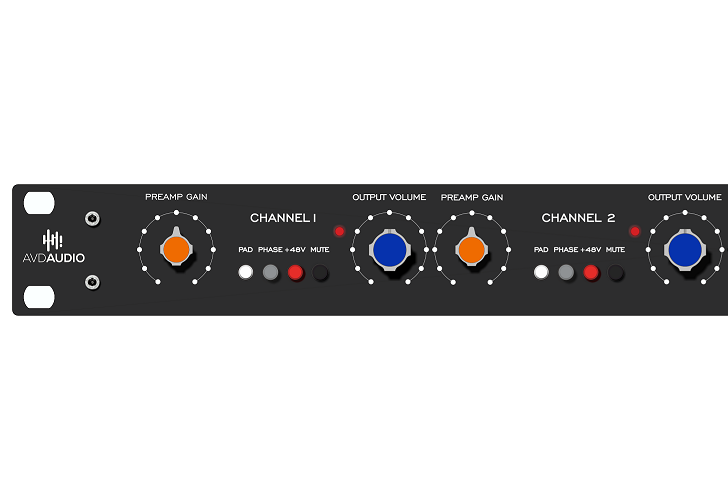 I hope you will love this new MP312 4 channel mic preamp since it was made based on old API 312 version preamp. And now you can use four channels per unit! I hope it will be a good reason to select this kit. Will be redy for shipping from 15 of November! Hi, I would like to order one of these. Does it include transformers? How would you describe the difference between 1731 and 2520 opamps? Audio transformers are not included! To order separatly! 1731 and 2520 has small difference. 1731 has more clear sound, It is my opinion. But 2520 more deeper in the mid range. Does the 312 BOM include the components for the 4 DOA PCBs ? 312 kit has only PCB of DOA. I can add as a bonus two different DOA. But if you need full DOA's kit, you must to order it separately! do you have a mouser cart for the 312-4 bom ? I must admit that it would be very helpful and a big time saving. Or at least, do you have an estimation of the cost for the bom components ? Dont have MOUSER cart. But have BOM on the website. Thanks for your job! It is c l! Near future will add assemblies manual on the website! Hi Avdo, any idea when MP312 will be back in stock? Some kits are in stock. But if you need more, I hope it will be near future. Hope in the end of this month. I'm waiting mu-cans from manufacture. Other parts are in stock! Great. Thanks, I’ll be contacting you soon!